UPDATE 6/5: If you're finding this post now, you're probably looking for this story with the full up-to-date lineup and band descriptions. 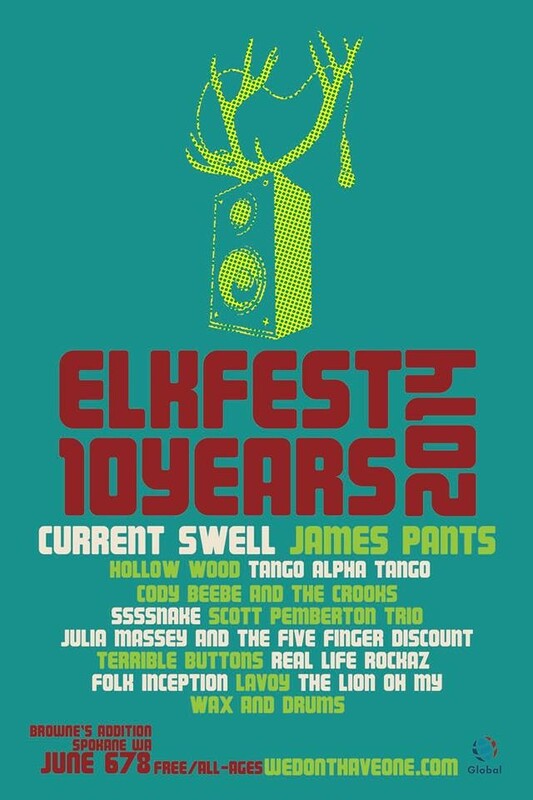 Last night, the incredible 2014 Elkfest lineup was announced at a launch party at Geno’s. Headliners include Victoria, B.C., band Current Swell and a locally bred DJ who now hails from Germany, James Pants. The Browne’s Addition block party is celebrating a full decade in existence this summer celebrating a whole three days, June 6-8. As always, the event is free and all-ages.